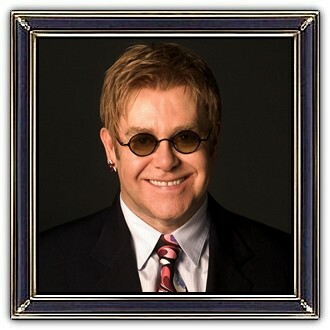 Sir Elton Hercules John, (born Reginald Kenneth Dwight; 25 March 1947) is an English singer, songwriter, and composer. He has worked with lyricist Bernie Taupin as his songwriting partner since 1967; they have collaborated on more than 30 albums to date. In his five-decade career Elton John has sold more than 300 million records, making him one of the best-selling music artists in the world. He has more than fifty Top 40 hits. His single Candle in the Wind (1997) sold over 33 million copies worldwide and is the best-selling single in the history of the UK and US singles charts. Elton John has also composed music, produced records, and has occasionally acted in films. He also became famous for his enormous and remarkable collection of (weird) glasses.